The Encyclical Laudato si’ by Pope Francis published in June has had an amazing effect beyond the boundaries of the Catholic Church. Even more interesting than the political reactions have been those from the world of science. Renowned scientific journals like Nature and Science published approving editorials both before and after the publication of the encyclical. Marcia McNutt, chief editor of Science, wrote: “I applaud the forthright climate statement of Pope Francis, currently our most visible champion for mitigating climate change.” In its October edition the journal Nature Climate Changeeven dedicated an 11-page special to the discussion of the encyclical. 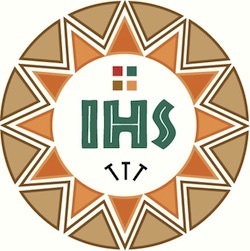 In the general context of climate science, it has been emphasised again and again in comments made by climate scientists that the encyclical rightfully refers to the Intergovernmental Panel on Climate Change (IPCC), whose reports reflect the current state of scientific knowledge. Great attention has also been paid to the encyclical in Brussels. Immediately after its publication, COMECE organised a presentation of the document with Irish eco-theologian Sean McDonagh and Member of the European Parliament Philippe Lamberts (Greens, Belgium). 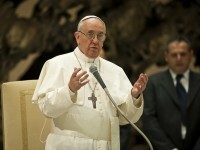 An “Ecumenical Conference on Climate Change and Papal Encyclical” was held in the European Parliament on 29 September. The Orthodox Church of Greece’s H.E. Metropolitan Athanasios of Achaia praised Pope’s environmental encyclical as a wake-up call for humanity. Bishop Luc van Looy, President of Caritas Europe, stressed the link between climate change and the flight of people now standing “at Europe’s door”. Bernard Pinaud, Director of the French Catholic relief organisation CCFD-Terre Solidaire, reported enthusiastically on the wide reception of the encyclical by civil society organisations. An informal group of economists from the European Commission has also studied the document in detail. The job of Europe Infos is to comment on and monitor the political debates in Europe from a Christian perspective. The European Union aims to assume a pioneering role at the Climate Summit in Paris. In the run-up to the summit, this entire edition is devoted to the Encyclical Laudato si’. Cardinal Peter Turkson, President of the Pontifical Commission Justice and Peace, expects the encyclical to make a strong contribution to the negotiations in the French capital. Sylvie Goulard and Peter Liese respond as Members of the European Parliament and Andrea Tilche as head of the “ Climate action and earth observation” Unit at the European Commission. They are all in agreement that Pope Francis has, with his encyclical, created decisive momentum for a global understanding in Paris. This article can be also accessed in Europeinfos, the newsletter of the Commission of the Bishops’ Conferences of the EU and the Jesuit European Social Centre (formerly the Jesuit European Office). JESC is given permission to feature stories from Europeinfos.